The World Economic Forum returns to Davos this January for its annual gathering, and CNN International will be reporting live throughout this key event in the business calendar. The theme of this year’s conference will be ‘Creating a Shared Future in a Fractured World’- making the case for renewed commitment to international collaboration as a way of solving critical global challenges. 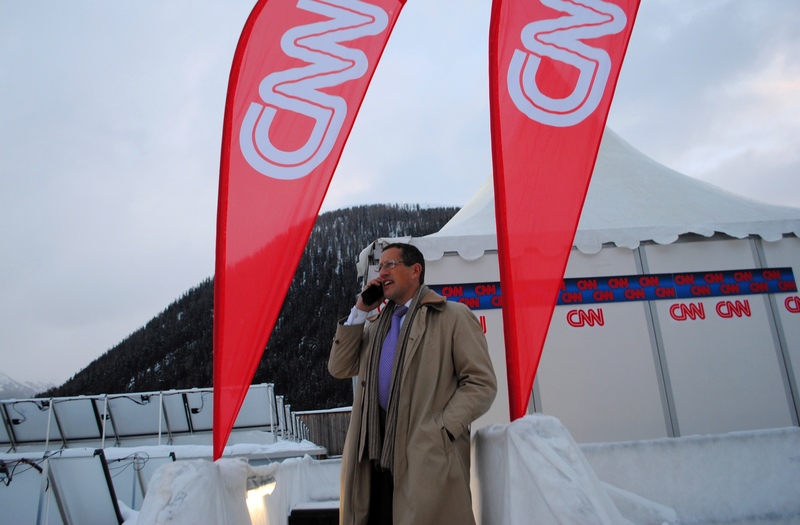 CNN’s Richard Quest, Becky Anderson, and John Defterios, alongside Fareed Zakaria and Nic Robertson, will deliver live daily coverage from the Swiss mountain town, which is transformed each year for the summit. They will be joined by a team from CNN White House Correspondents Jim Acosta, Jeff Zeleny and Abby Phillip, who will focus on the highly anticipated visit of President Donald Trump to the Forum. From Monday 22 January to Friday 26 January there will be coverage throughout the day on CNN International. Richard Quest will anchor three daily shows, beginning with CNNMoney at 1400 GMT, followed by Quest Express at 1700 GMT, and Quest Means Business, at 2100 GMT, direct from the Forum. Becky Anderson will present her show, Connect The World, live from the conference at 1500 GMT daily, as well as other shows across each day.